Rising Son Mission – God’s Blessings in December! I pray all of you had a very merry Christmas and a Happy New Year! God was/is doing some awesome things in getting us to Japan! 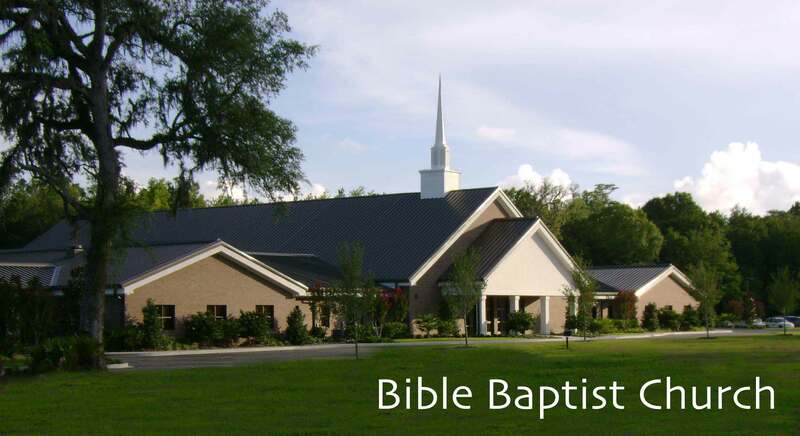 We started the Month at Bible Baptist in Brunswick, GA with Pastor Mike Landrum. This church has faithfully preached The Gospel as Long as I can remember. Every year our family goes camping at Jekyll Island, GA for Thanksgiving. I learned how to ride my bike on that Island, just to give you an idea how long we’ve been going. Each year we went, we would attend church at Bible Baptist. God has done tremendous things world-wide through this church! Many have accepted Christ through the preaching of God’s Word. We praise The LORD that a young woman, named Ashley, accepted Christ after I preached out of Romans! God was working through the whole service, and at the invitation Pastor Landrum said that someone needed to get saved! After the service, Ashley came to us and said she accepted Christ! She had heard the Gospel for over 20 years and never accepted Jesus. She had prayed a prayer as a child. Would you take a moment and consider your own salvation? It’s not about a prayer you pray. It that were the case Catholics would be saved. They pray all the time. They’ve never accepted Christ alone as their savior! They depend on their prayers, church, priests and other works for their salvation. What are you depending on? A prayer? Or do you believe that Christ is Lord and died on a cross for your sins, paying your sin debt. Do you believe He is sufficient? Have you acknowledged your sinful state and turned to Christ alone for your only hope of forgiveness? If you haven’t done that, I encourage you to talk with you Pastor and accept Christ! Please be in prayer for this church and new convert in Christ! 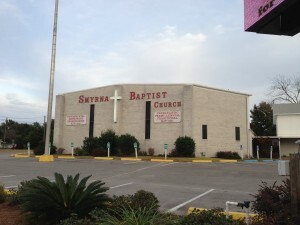 This church was such a blessing to us! As we walked in we were greeted with smiles and right hand of fellowship. 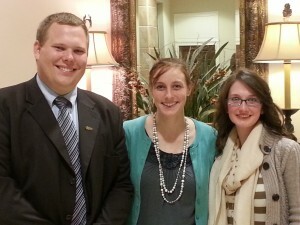 I was amazed at the outreach of the church with visitation and Gospel preaching! This church has impacted their community with the Truth! Oh man, dealing with death. I’m an atheist, so it’s particularly mind boggling and difficult for me. I know it’s probably off topic, but death deeply scares me. There’s a certain amount of hopelessness in knowing that not only will I die, but everyone I know will die, and everyone who will ever live will eventually cease to exist. Eventually, the earth will be destroyed. That means everything you’ve ever done or experienced is for nothing. What’s the point of anything if everything will eventually cease to exist? All the struggle and strife within human existence is for naught. Is there a god or gods, or are we deceiving ourselves when we believe in any type of higher power? Is what we experience real? I know what you mean. My wife can somehow ignore it but I have spent many nights just laying there eyes wide open, heart hammering, hoping that they figure some way to make me live forever. I’m also a former Catholic, now atheist. I completely understand what everyone in this thread is saying/feeling. But when it comes to the subject of death, the atheist view is a bummer. No way around it. When we die, our brains shut down, neurons stop firing. We don’t experience consciousness, or dream, or meet up with long lost family and friends. We just cease. And yes, that deeply scares me, because I don’t want to cease. I want to exist. And the thought of not existing, and never existing ever again in eternity, saddens and terrifies me. I’d love to be wrong about this. I’d love it if I had a soul that could exist independent of my body. I’d love it if I could go on existing for the rest of eternity, able to re-unite with the souls of other loved ones and friends, long since passed.. The idea of an afterlife is beautiful and some of the most comforting thoughts to come out of religion. I don’t have comfort to offer. I am motivated by my fear of death to do my very best to make a positive contribution to humanity before I die. This. Everything you said is EXACTLY what goes through my mind. Even though I’m an Atheist, I would LOVE it if I was wrong all along. I would LOVE to be certain that there’s not only something after death, but something BETTER than what I have here right now. Can you hear the hopelessness? Can you hear them pleading for truth? lies of atheism! Atheism is no more dead than their legalistic religion! Oh, that we would be a witness to those around us!!! They’ve been lied to! Satan has blinded them! They’re only hope is the light of the Glorious Gospel! 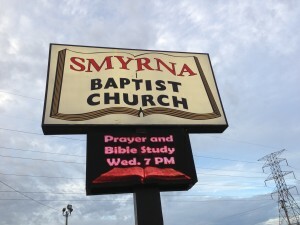 The people of Smyrna Baptist listened with open hearts to The Word of God, and there was a good response in the invitation! This church has been taking the Gospel to Pensacola! Take a moment and consider how has your town been impacted with the Gospel? Are there still people around you that haven’t heard!? I challenge you to look out the window and see.